Debt has always been a problem and, unfortunately, for some people always will be. But as technologies continue to evolve, all aspects of everyday life are made increasingly manageable — and this is equally true of debt management. So let’s take a step into the world of 21st century budgeting and forget old-school notepads — we’re thinking apps. Apps for managing your money, recording your spending and tracking your disposable income – bringing the budget plan out of the dark ages and making your financial affairs a little brighter. Everyone should have some sort of budget planner available to them, be it the old fashioned notebook, a spreadsheet made on your home computer or — since we live in an age where smartphones rule — why not a money management app for your iPhone or iPad? One of the simplest and most helpful budget planner/money management apps you can download on your Apple device, the UK Salary Calculator allows you to work out your disposable income from an annual, monthly, weekly, daily or even hourly wage. It takes into account National Insurance contributions, student loan repayments, pension contributions and age for when NI contributions are no longer payable — and with all data directly sourced from HMRC, you know it’s legit. We apologise up-front for this one — you’re trying to save yourself some money and we’re suggesting you spend a hard-earned 70 pence piece on Spending Log. But we assure you it’s worth it — this app does exactly what it says on the tin. You enter your income when you get paid and every time you spend a penny, you quickly switch to the app and deduct it as an expense. You can set recurring payments such as your rent or phone bill with just two more taps of your finger. One of the easiest and most effective budget planner apps out there! Not really a budgeting app per-se, but definitely a great way to save money! Wowcher brings you great deals from up and down the country – and alerts you to hot offers in your area. You can save up to 80% on everything, from holidays and day trips, gadgets and jewellery to money off meals at your favourite restaurants! 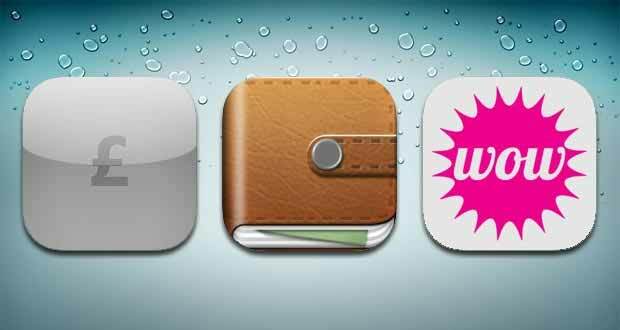 A great money-saving app every penny-pincher needs installed on their smartphone. With the help of elegant and innovative apps like these, it’s never been easier to keep spend down and put that debt into perspective.